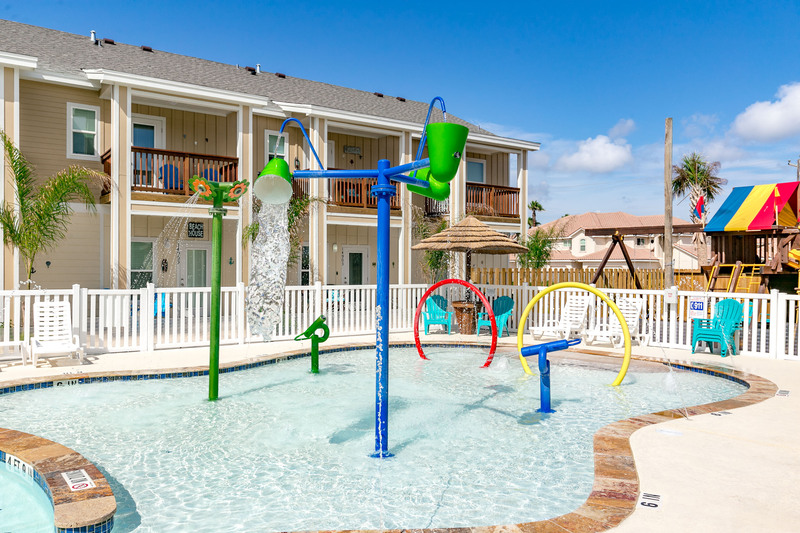 Address: 14918 Village Beach Drive Location: Corpus Christi Type: Townhouse Area: 782 Sq.Ft. 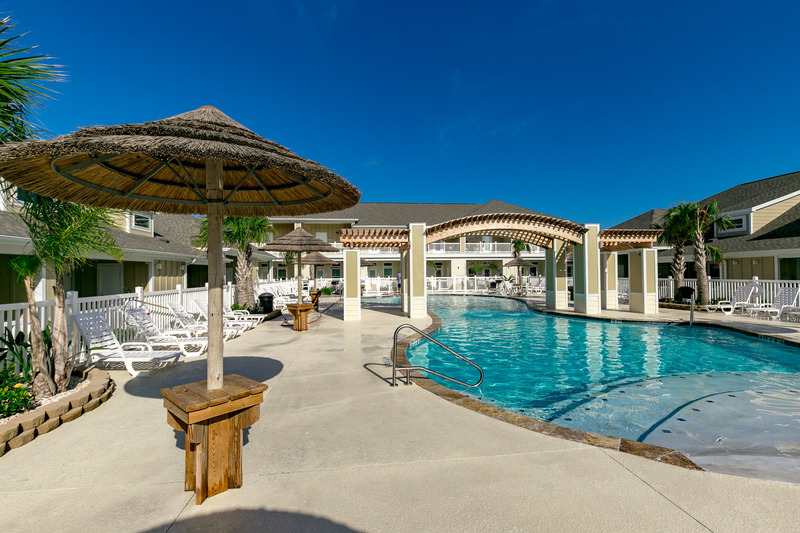 COMPLEX/COMMUNITY Village by the Beach B918, a first floor unit, is first class living on the Texas Gulf Coast - Come stay and enjoy one of the luxurious Village by the Beach rental properties. 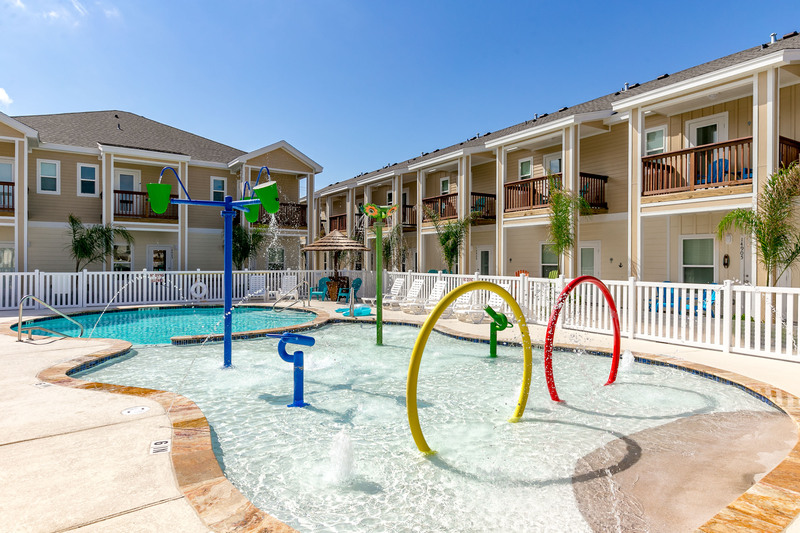 Whether you're in need of a weekend escape or week-long vacation you'll love the comfort and coziness of this family-first complex. 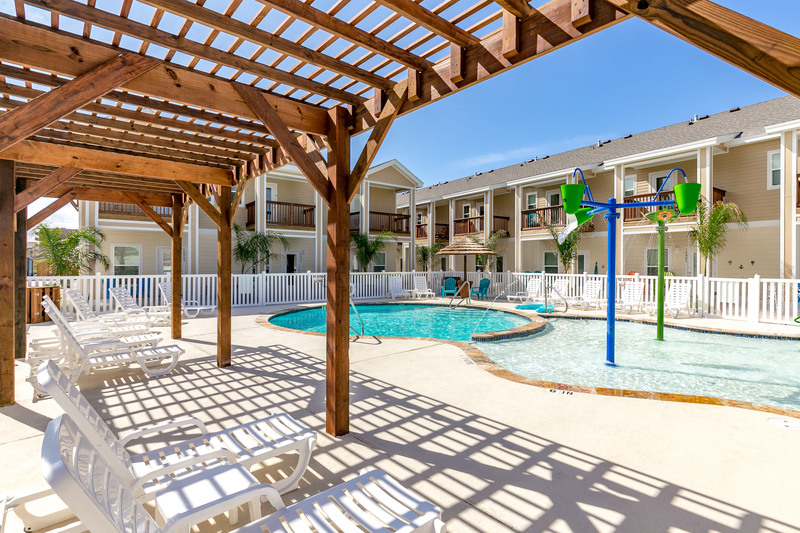 Every unit is custom decorated with furnished interiors and offers unique bed layouts and amenities for their guests. 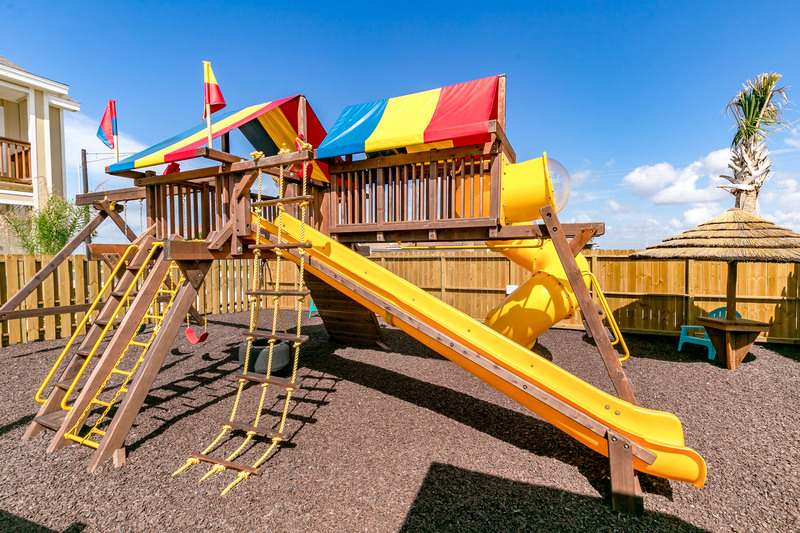 But there are two amenities every guest will love?1. The great location, just off the beach and 2. 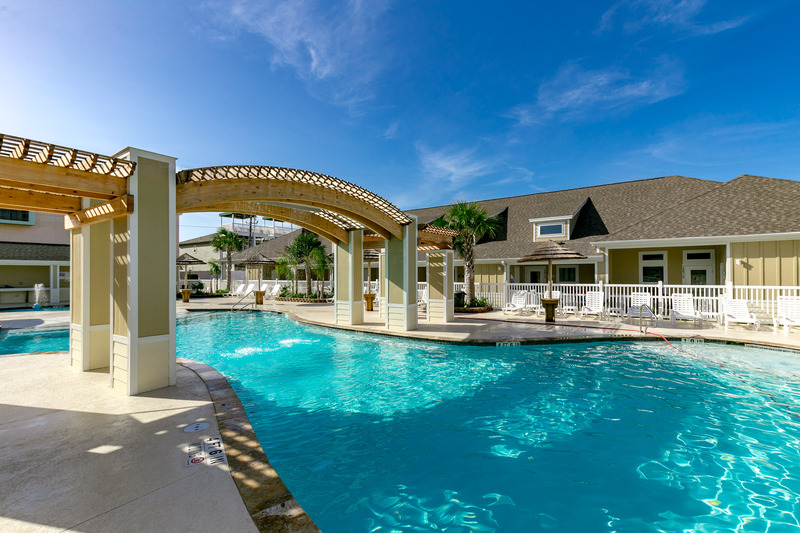 The spectacular one-of-a-kind pool! PET-FRIENDLY property! INTERIOR This spacious one bedroom is top of the line, no expense was spared in stocking or decorating this it. You'll love the calming coastal vibe offered by this beautiful property. The kitchen is well-equipped with everything you'll need to cook a good meal. The kitchen is open to the dining and living area which makes it great for entertaining family and friends. In the living area you'll find a queen size sleeper sofa and on the way to the master bedroom you'll find twin size bunk beds for two additional guests to sleep in. The master bedroom is equipped with a comfy king size bed which brings the total occupancy of this unit to six guests. This beautiful one bedroom is also right next door to another unit managed by Padre Escapes and can be booked together. This unit requires a 2 night minimum stay. Linens for every bed and bath towels for every guest are provided. Property was exactly as described. It was very clean and had all of the basics we needed for our stay. The area was quiet and my 3 kids had plenty of room to play inside the condo. We also liked that everything was within quick driving distance. Shopping, grocery stores and family fun activities. We would definitely return when we visit Padre Island. We had a great time. It was perfect in that you park directly outside your entrance and its on the 1st floor. Very convenient to where we wanted to go. I would recommend more comfy living room furniture such as over-sized couch and recliners. The best stay ever and ultra nice condo.Very clean and would recommend to everyone and you get your $ worth. 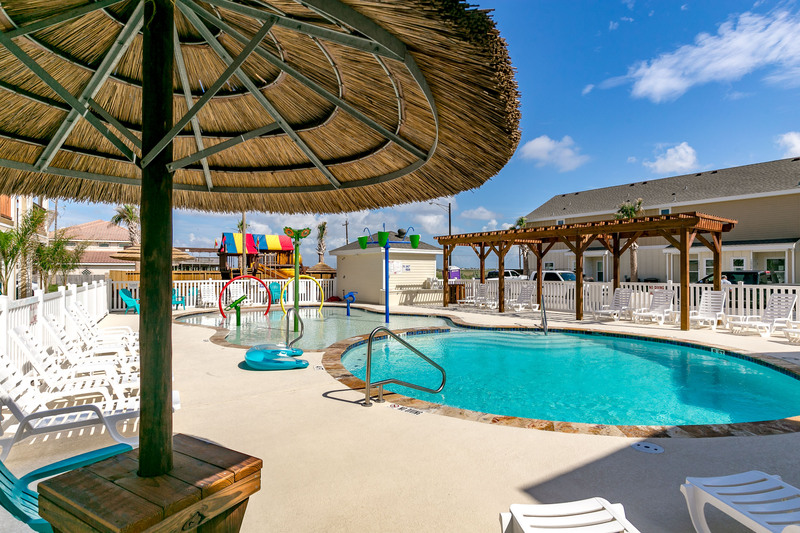 We had a lovely month's stay on North Padre Island at Village By the Beach. 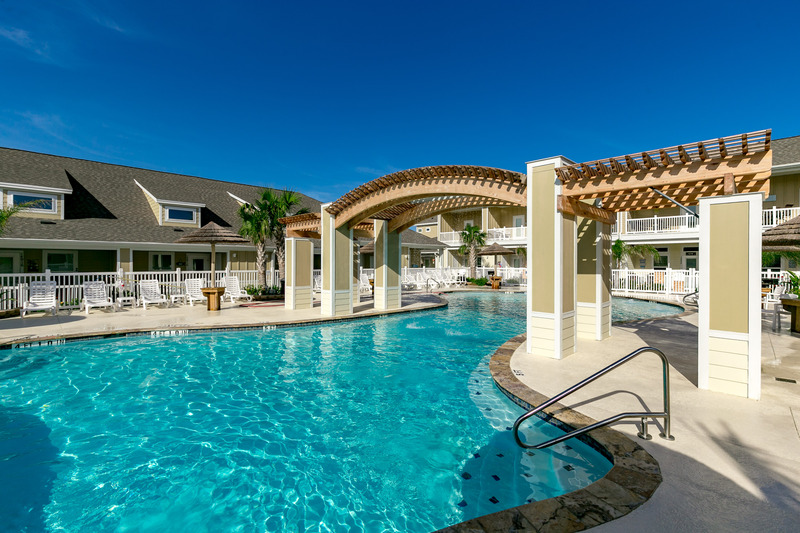 We could walk to the beach and had a very pretty heated pool on the property. We cooked out at one of the grills at the pool. Our unit was clean and cozy. We had a fun holiday. We ,especially enjoyed restaurants near the water such as on Bob Hall Pier, Snoopy's Doc's. A friend really enjoyed Scuttlebutt's for blackened seafood. We liked the Texas Aquarium, the National Seashore and the lovely Bayfront drive in downtown Corpus Christi. Great condo. Would definitely recommend to family and friends and would love to come stay again in the future. Close walk to the beach too. Nice pool area. Overall the stay was wonderful. 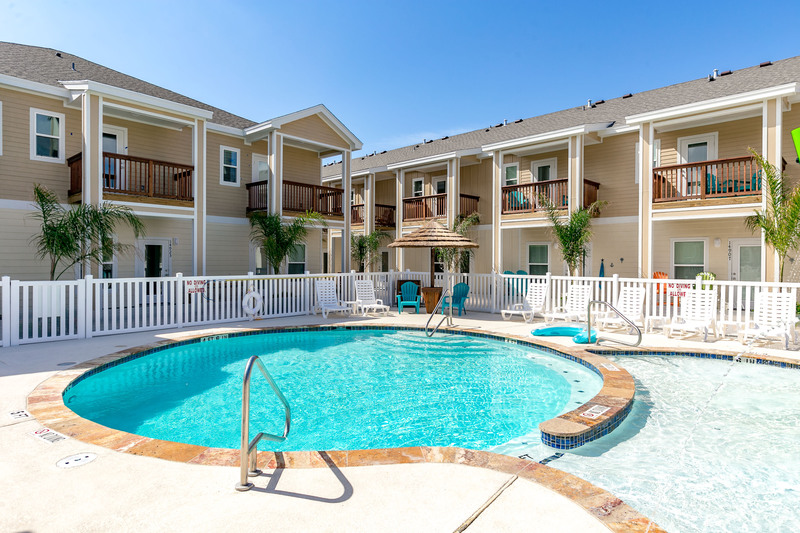 The pool is nice and close to the unit. The unit was clean. There were a few small things but they would not deter us from renting again. The dishes didn't seem to be clean. I'm not sure if the dishwasher isn't great or if they weren't put through a wash. We just hand washed what we needed to use. Their is a nice laundry basket in the bedroom but it is unfortunately full of mold. It is hidden in the closet so I am sure it hasn't been seen by the cleaning company to remove. The pool was a nice break every day and it was clean and the area around the pool was well taken care of. It was very quiet and relaxing. Thank you for the feedback. We will take care of that laundry basket. Unfortunately everyone doesn't clean dishes to the same level and it's just not possible for us to check every single dish in a unit but we will have our inspection team run back through and double check these. Thank you again for your feedback and for helping us to improve our properties for future guest stays. We had trouble finding the right place because each row has the same numbers and we turned into the wrong row. We called the management company and didn't get called back till the next day. Fortunately, we figured it out. Management was apologetic. The rental was roomy and the televisions great once maintenance helped me get them working. Spectrum went offline the night before and they needed to be rebooted. The fan in the master was noisy and maintenance said they would put in a work order. It would be nice if we didn't have to leave by 11:00. Management did text that we could arrive earlier than 4:00 pm. The location is good, the pool nice, although it was a rainy, cold weekend. Overall it's a good place despite the glitches. One of the best family trips we have made to the Texas Gulf Coast! Location and the complex exceeded our expectations. First Class condo perfect for four. Quick walk to beach. We will be back. Great to hear you had such a good time. We look forward to having you back. And a tiny, corroded 1-cup coffee maker. (Which meant we had to drive to buy coffee every day. A great beach vacay for us includes zero driving). In short: this condo was adequate but we'll be sticking to our gold standard condo from now on. Thank you very much for your feedback. We'll work with the owner on getting your concerns addressed and getting this property back up to gold standard. 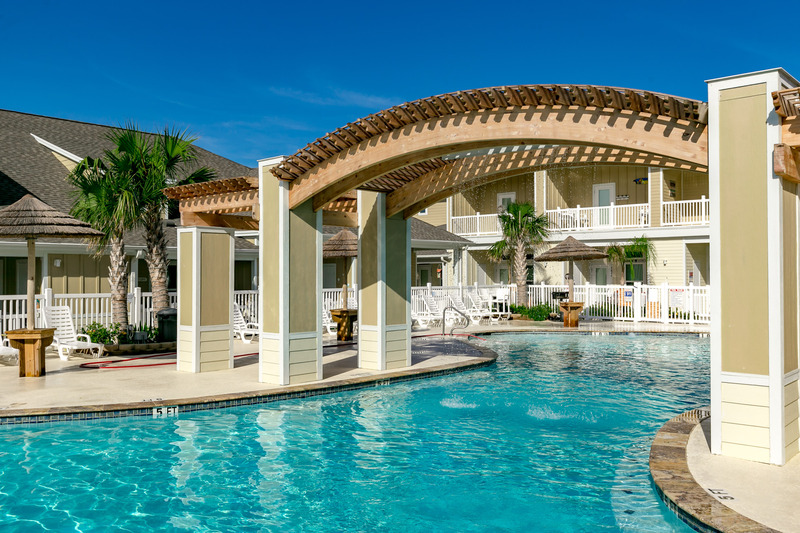 The condo at Village by the Beach was everything in the photos, but better. It was immaculate when we arrived, everything was in an excellent state of repair, with nothing broken or wonky and nice new appliances. It had everything we could have needed, including a very well stocked kitchen. It was a nice size, open and airy, but cozy. The furnishings were of good quality and decor was tasteful. Padre Escapes was easy to work with. There was construction going on behind the unit, but it wasn't actually very noisy, and will very soon be finished (it was progressing quickly). 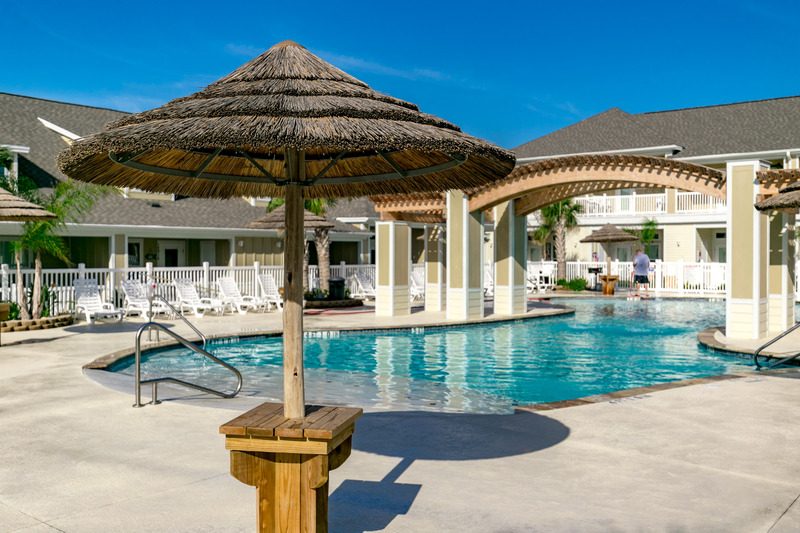 The pool area was pleasant, the beach was a quick walk, and the other people staying in neighboring units were quiet and friendly. The walls must be fairly thick, since there were dogs staying in adjacent units, but we never heard them at all. Not a peep. Overall, it was an excellent place to stay - one of the nicest vacation rentals we've ever stayed in. Great to hear you all enjoyed yourselves, hope we see you back again soon. Overall a very good experience, already booked again for next year. We loved staying in this condo! The location was great. A short drive or walk to the beach. The condo was very clean and tidy with the perfect amount of amenities. We can not wait to visit again! The staff at Padre Escapes are wonderful. Friendly and very helpful! The condo is brand new. There is even a fresh smell as if, it was recently built. All fixtures, decore, furniture is new. Awesome Samsung TVs, incredible lg washer and dryer. Even, the pillows make you want to live there. The pool is great. The only downside is, it's not port Aransas where everything is a block away. However, this place is far nicer than our usual place, sand castle. It was far, cheaper as well. I wish I could say more but, overall it would be a nice place to own. Unit was nicely decorated & had everything we needed during our stay. Only downfall was the shower drain was clogged & needed some attention. The pullout bed was fairly comfortable, had a good supply of linens & towels, plates, cups, utensils & all. Great property close to the beach. The pool was great as well. Overall a great place... Unit was exactly as described on website. Staff was quick to respond & repair a broken toilet handle. No complaints & we have booked again for 2020 with Padre Escapes. Should be noted that the master bed springs squeak with the slightest movement & lighting above the bathroom sink could be brighter. Our condo at Village by the Beach exceeded our expectations. We are a family of 4. The condo with bunk beds was perfect for our family. The condo was clean and the management company super helpful. 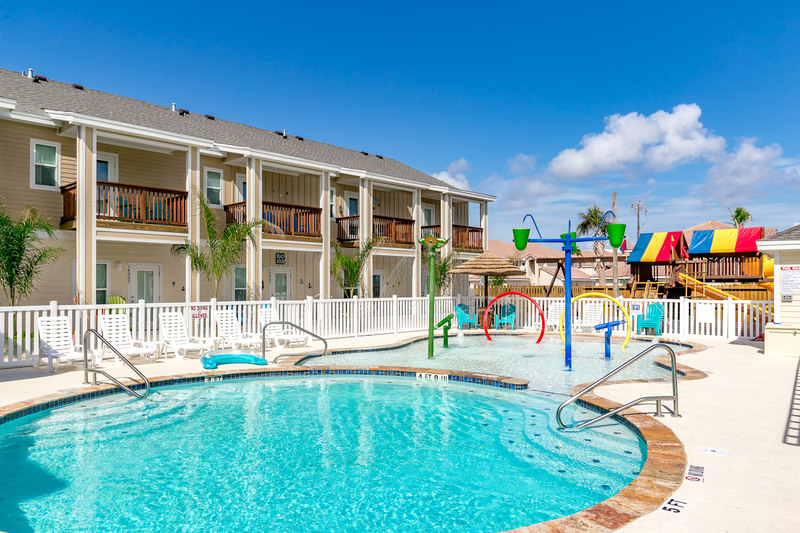 My kids loved the pool and the location is close to Corpus Christi as well as the beach. We are already talking about a return trip here next summer! Great location, fair price, easy check in and check out process. Love it so much we already reserved our stay for next year. We're disappointed to hear about your issues. I do understand your concerns but industry standard for check-in time is 4:00pm, anytime we can get a guest in earlier we will but since someone else checked out of your unit that morning an earlier check-in just wasn't possible. Our housekeepers are the first ones in a property after a departure, they've returned cash, jewelry, guns, phones, etc. The do have a very high level of integrity but we do all make mistakes and may have overlooked something, however insulting our/their integrity is a stretch. We gave you a map to the property that has detailed directions and says the property address, "14918 Village Beach Dr." but you went to "14918 Island Village Dr." not sure how we sent you to the wrong address but if it was a mistake on our part I do sincerely apologize. We hope you give us a second chance and come stay with us again in the future. Thank you for your feedback. The location was great; just a few blocks from the beach! The property was kept up nicely! We had everything we needed for fun and relaxation. We would definitely return and recommend to friends. We love this place. This is our second year to stay at Village by the Beach and it was just as good as the first. The condo was awesome and stocked with all the things we needed for our stay. Will be back again for sure.